At least one website you visit today will be powered by WordPress. WordPress is an open-source content management system that allows us to create an elaborate, well-designed and highly customized website in a relatively short time. Its user-friendliness led to its popularity and is the reason why in just 12 years WordPress became the most beloved CMS in the world. As an open source project, WordPress is developed by hundred of contributors that volunteer their time and efforts, and most of them work for companies that use WordPress platform or have a WordPress website themselves. These developers, designers, and content managers form a powerful community and use every opportunity to spend some time face-to-face and share their passion and knowledge. From this, WordCamps were born. WordCamp Europe, the first large-scale European WordCamp was held in 2013 with the goal of creating permanent ties between local growing Europen WordPress communities. 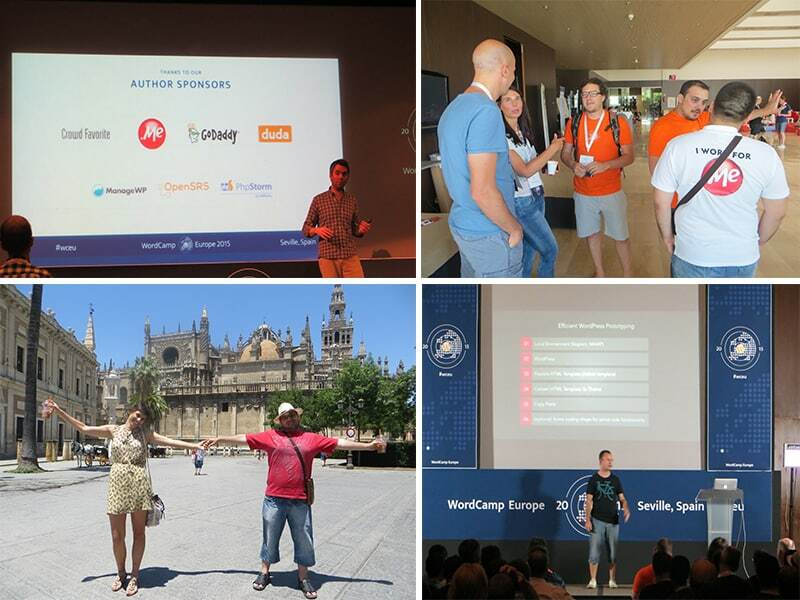 The tradition continued and this June, it successfully hosted more than a thousand of WP enthusiasts. One WordPress community member came all the way from New Zealand! The event consisted of a two-day-two-track conference followed by the Contributor Day. The tracks focused on two major themes: design and development. Forty-eight speakers delivered excellent speeches about new technologies, accessibility hacks, internationalization, European Web laws, development process, security principals, PHP 7, nomad lifestyle and many other topics. Among others, Matt Mullenweg, co-founder of WordPress, spent an hour answering everyone’s questions. While he was answering a question related to WordPress’ security track record, he shared an exclusive: he named Nikolay Bachiyskias the first Security Czar of WordPress.org. Nikolay, who was also one of the speakers and had been in the community for more than ten years, said earlier that day: ”You are only secure as your weakest link”. He is, as Matt called him, “a chicken with his head on”. As the sponsors promoted their brands during the breaks, we got a chance to mingle with the attendees, organizers, speakers and fellow sponsors. That kind of environment and mindset was perfect for new partnerships and business ideas. The breaks were also used to hold “tribe meetups”, tribes being developers, designers, freelancers and other groups. People who have spent a long time exchanging emails met each other in person, which was one of the goals of the event. The event was also a great opportunity to meet other members of .ME family, such as reimagina.me, who were thrilled to share their educational story with us. And who would better connect WordPress and .ME than WPand.ME? Stay tuned for these guys. They plan to raise the simplicity of setting up your own WordPress website to another level. We also had the opportunity to meet Ana and Marko from Montenegro and Croatia who run Anariel Design – Premium Niche WordPress Themes. Our guide at the event, the guy who knew everyone at the conference was Daniel Pataki, a witty WordPress writer and developer who was also one of the speakers. Special thanks go to the organizing team that led us to an excellent flamenco dance performance and the friendliest photographer Iñaki Respaldiza. While dancing at the closing party on a boat overlooking the river and the beautiful Seville skyline, we took on a role of promoting WordPress in Montenegro and raising awareness about it. After all, governments, celebrities like Beyoncé, and many successful companies around use the platform. All the people present have enriched their online and offline social networks and gotten inspired and encouraged to keep contributing to the WordPress community. The next WordCamp Europe is organized by Austrian community in collaboration with the Slovakian one and will be held in Vienna. The entire community is already holding breath.